Get and Reveal Lighter, smoother, flawless, clearer and younger looking skin from inside-out. Also prevents the formation of acne, pimples, blemishes and dark spots. A 100% Pure Natural Super Antioxidant & acts as Skin "force field" & Radiation shield. It is potentially an Oral Natural sunscreen, provides potent protection against ultraviolet radiation, rejuvenates skin from within, helps in prevention of wrinkles, dry skin, age spots and freckles, Reverses UV-induced visible signs of aging. Most powerful lipid-soluble antioxidant – 6,000 times stronger than Vitamin C, 550 times stronger than Vitamin E, 75 times stronger than Alpha lipoic acid, 550 times stronger than Green tea catechins, 800 times stronger than CoQ10, 40 times stronger than Beta-Carotene, 17 times more potent than Grape Seed Extracts. 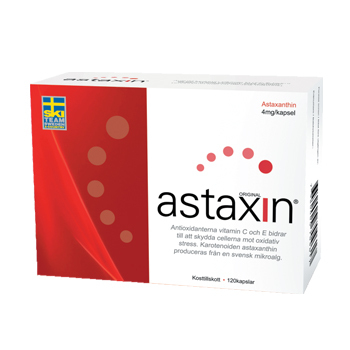 Consume one pill of Astaxin supplements once a day for 2 month or as directed by the Physician / Health/ Nutritionist / Wellness consultant. Best if consumed with food for better absorption. It is also advisable to put on sunblock cream and lotion for the face and body during day.